Mega Sale! 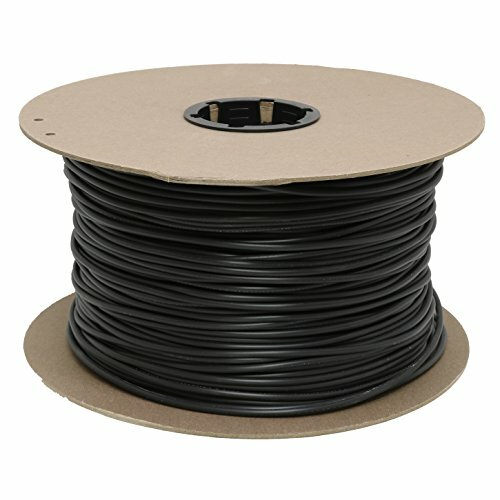 Save 24% on the Drip Depot Vinyl Tubing - Size : 1/8 - Length : 1000' - Color : Black (Part 2254) by Drip Depot at The Net Stores Network. MPN: 2254. Hurry! Limited time offer. Offer valid only while supplies last. Vinyl Micro TubingMicro Tubing is used to extend drippers and micro sprinklers from mainline to your plants or as the primary line in a small system. Micro Tubing is used to extend drippers and micro sprinklers from mainline to your plants or as the primary line in a small system. Flexible vinyl will not kink as easily and is still resistant to UV rays. It may be used above or below ground. When using micro tubing, keep your line lengths to 30' or less. Anything over 30' and you may suffer PSI loss due to friction within the tubing. This does not mean you cannot use more than 30' of 1/4" tubing in your system, it simply means that the maximum point-to-point water path should not exceed 30' for any single length of 1/4" line. Tubing inside diameter size is .170" and the outside diameter is .250". View More In Irrigation Tubing. If you have any questions about this product by Drip Depot, contact us by completing and submitting the form below. If you are looking for a specif part number, please include it with your message. Gardena Above Ground Drip Irrigation Line Micro-Drip-System 3/16"